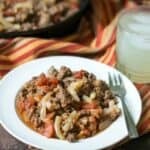 An easy to prepare sausage goulash recipe with low-carb and gluten-free noodles. 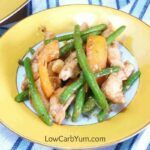 It’s a simple dish that can be made in about 30 minutes. Things have been very hectic and I haven’t had a lot of time for recipe experimentation. 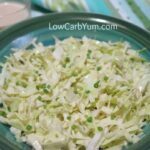 So I’ve been making some of my best low carb recipes from the archives. One of the things I have been doing is cleaning out the overstocked items in the freezer. We had a bunch of venison sausage and burger meat made at the beginning of last hunting season. 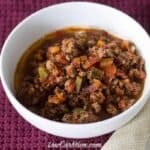 I ended up making some easy low carb ground beef recipes and a chili mac. 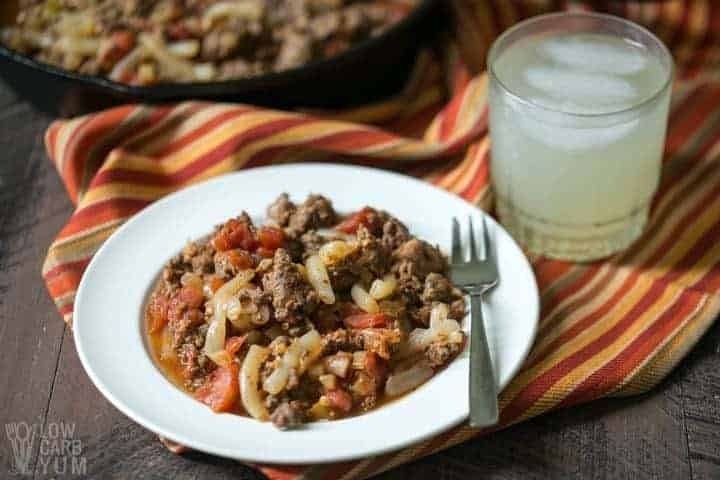 Goulash is one of those dishes where you just dump the ingredients into a pot and simmer until done. 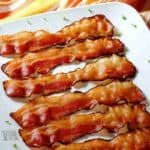 So, I made up this classic into a low carb pasta recipe. 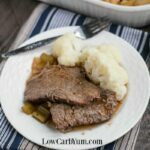 The only way to make cooking the dish even easier is to place everything in the crockpot and slow cook it for several hours. My original recipe used a high fiber pasta product. 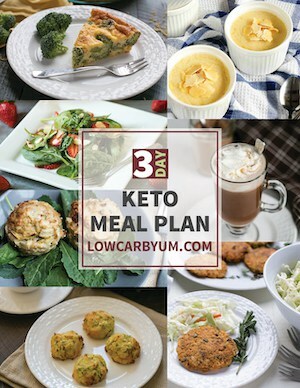 That product was shown not to be low carb. 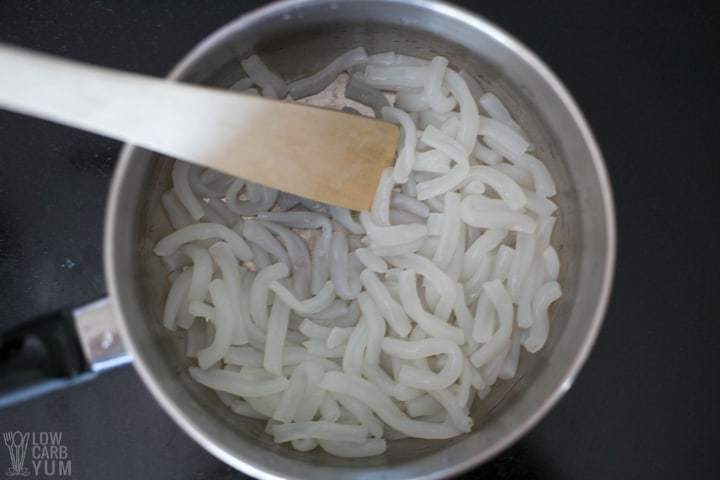 So, I’ve updated this recipe to use ziti shaped shiratake noodles. 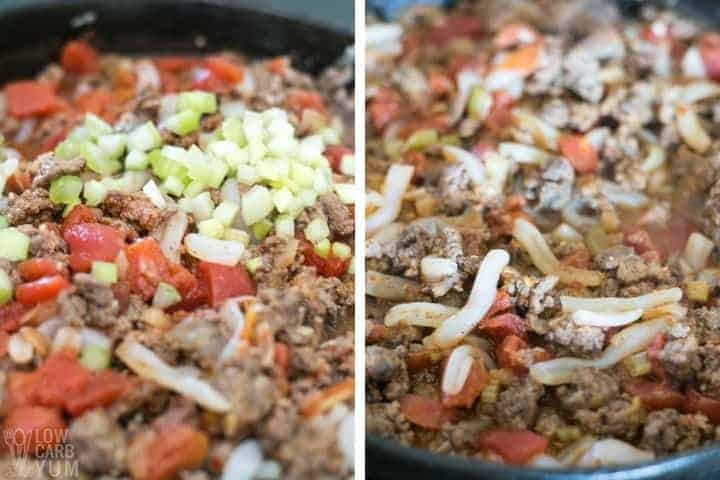 I’m much happier with this updated low carb sausage goulash recipe because it’s also gluten-free. The noodles I used originally are made with wheat so they aren’t gluten free. 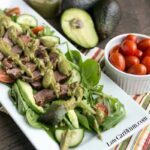 This low carb pasta dish is not only quick and easy to prepare, but it’s tasty too. 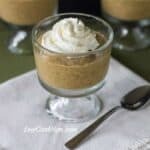 And, the ingredients can be changed to suit your taste or what you have on hand. When I first tried shiratake noodles, I didn’t care for them. A lot of people make the mistake of just draining and rinsing them out of the bag which doesn’t get rid of the offensive odor or taste. I recently discovered that you need to dry out the shiratake noodles after soaking, rinsing, and draining before using them in a low carb pasta recipe. By stir frying them in a dry pot, you get rid of the excess moisture and the offending taste. Some people will cook them for a bit in the microwave before using. This also removes the moisture and the bad taste. Drying the shiratake noodles out also makes them less rubbery. 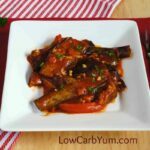 The brand I used in the my low carb gluten free sausage goulash recipe is Miracle Noodles. And I used the ziti shaped shiratake noodles. While the shiratake noodles are soaking, I like to start cooking the sausage with onion and garlic until it’s browned. Sometimes I use fresh chopped onions and other times I’ll just add in some onion powder. Once the meat is browned, the remaining ingredients are stirred in. So the shiratake noodles need to be dried out before this step. Then, the mixture is covered and simmered for about 20 minutes and stirred occasionally. 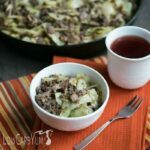 The ziti style noodles are perfect for this low carb sausage goulash. I used to use macaroni noodles back in my high carb days. 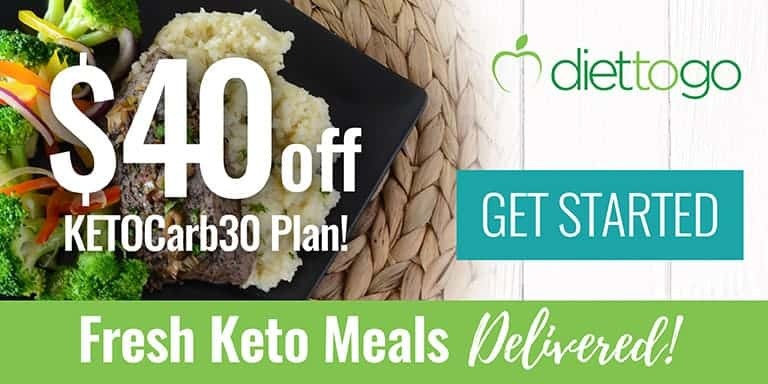 The ziti Miracle noodles are the perfect low carb replacement for macaroni. I’ve also made a tuna noodle casserole and a baked macaroni cheese using these noodles. 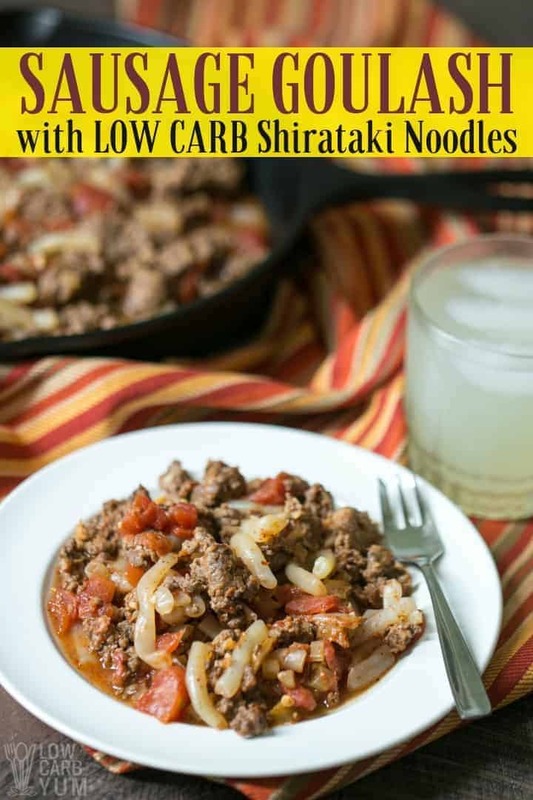 If you are missing pasta on a low carb diet, I encourage you to give shiratake noodles a try. There’s also rice sized shiratake called Miracle Rice. 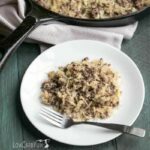 It’s great for making rice pudding and unstuffed cabbage bake. 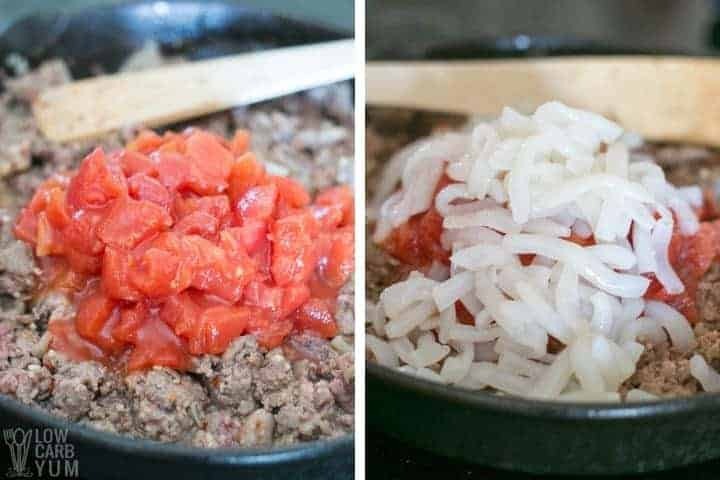 Enjoy this easy recipe with ground sausage, tomatoes and shiratake noodles! And be sure to leave a comment below if you gave it a try. An easy to prepare sausage tomato goulash made with shiratake noodles. Although bulk sausage was used, any ground meat could be added in the dish. Drain shiratake noodles, soak in water for 5 minutes, drain again, then stir fry in a dry pan until noodle feel like they are sticking to pan. 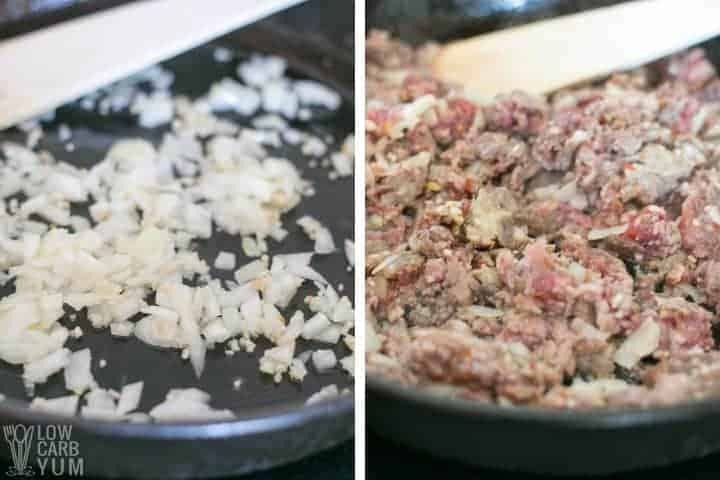 Cook sausage with onion powder and garlic until brown. Drain off fat as needed. Simmer covered for about 20 minutes; stirring often. Post updated in November 2018. Originally published February 2011.